Colors make us feel a variety of emotions. Dark colors like black can make a room feel closed off and cause us to feel negative emotions, so it is best to use such colors sparingly in interior design. Red is another color that should be used strategically. Certain shades can incite anger, while others make us feel impassioned or excited. Red is a good accent colors as it adds vibrancy to a space in small amounts. To encourage productivity, consider bright colors that bring energy to a space, such as a light orange or yellow. For relaxation, deeper colors like blue or gray, or natural shades like green and brown elicit a sense of calm. If you have white walls, you can tie in the appropriate colors with various decorative pieces to achieve the mood you want. These can include furniture pieces, area rugs, wall art, table décor, etc. The colors of each room in your house should be chosen based on the room’s function. Your bedroom, where you sleep, should have a relaxing color scheme, whereas your home office or other workspace should employ energetic colors. However, you don’t want all the rooms in your house to be completely different. Although the primary colors of the rooms may differ, decorative pieces should be of similar tones, patterns or designs. This creates the proper flow and adds uniformity to your home. 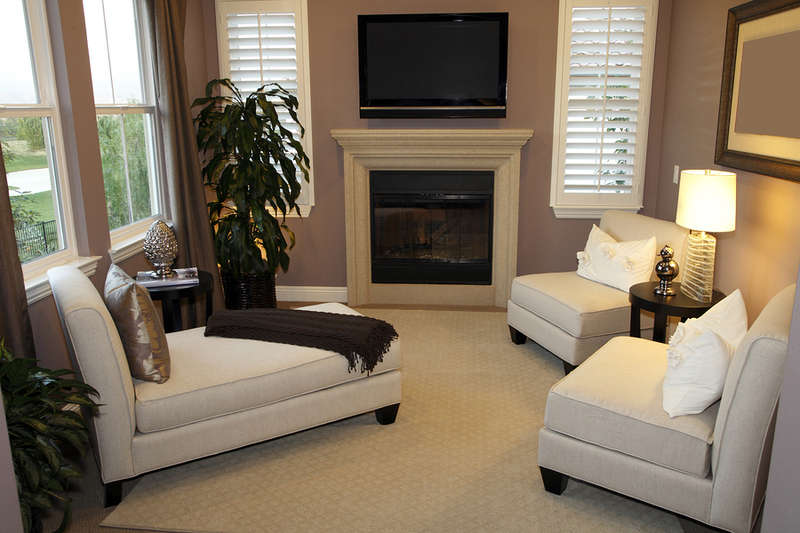 It is also important that the primary tones of each room do not starkly contrast one another. For example, if you have neutral tones in one room and want to use brighter colors to another, opt for lighter shades of those bright colors, as darker, bolder shades will be too overt and detract from the flow of the house.